6. Genetics: They Are Officially the 4th Smartest Dog Breed in the World! The first of our golden retriever facts tells us that the breed has its origins in the British aristocracy! These dogs were first bred in the 19th century as a cross between a tweed water spaniel (a now extinct breed) and a flat-Coated retriever. The dogs were first bred by the First Baron Tweedmouth, whose name was Dudley Coutts. He was from Scotland, and this is where the first golden retriever pups came from too. The next of our golden retriever facts relates to the breed’s intelligence. 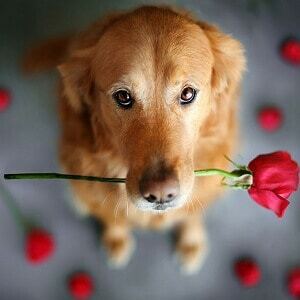 Golden retrievers are renowned for being a very sensitive and clever breed of dog, and, as such, they rely on interaction with humans to keep them stimulated. They can become sad or lonely if they are left alone for long periods of time, and need to interact with other dogs as well as humans. They also need to undertake regular daily exercise to stop them from becoming anxious and physically ill.
All dogs, as a rule, have exceptional senses of smell. However, the next of our golden retriever facts shows us that this particular breed has one of the best. 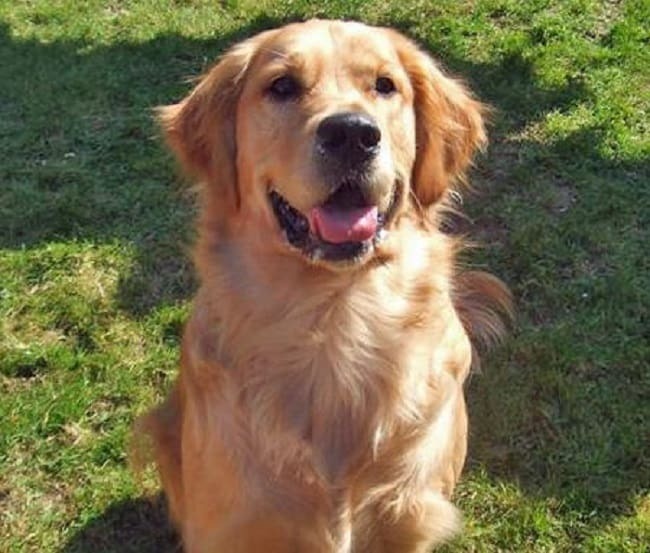 Originally, golden retrievers were bred to hunt, primarily to bring back game that had been shot down in the fields. While these days they are not used for such purposes, they are utilized by bomb disposal or search and rescue teams to aid in their missions. This is because of their exceptional olfactory skills. Originally, the breed was known as the golden flat coat when it was first listed as a breed. Prior to this, the dogs were simply known as flat-coated retrievers, even though they were still a cross breed. It actually wasn’t until the year 1913 that they gained the name we now know them by. This was also the same year that they gained their own appreciation society in the UK, the Golden Retriever Club. It took another 12 years for the USA to adopt the name, which it finally did in 1925. In the USA, golden retrievers rank in third place behind labrador retrievers and German shepherds as the most popular breed of dog to own. 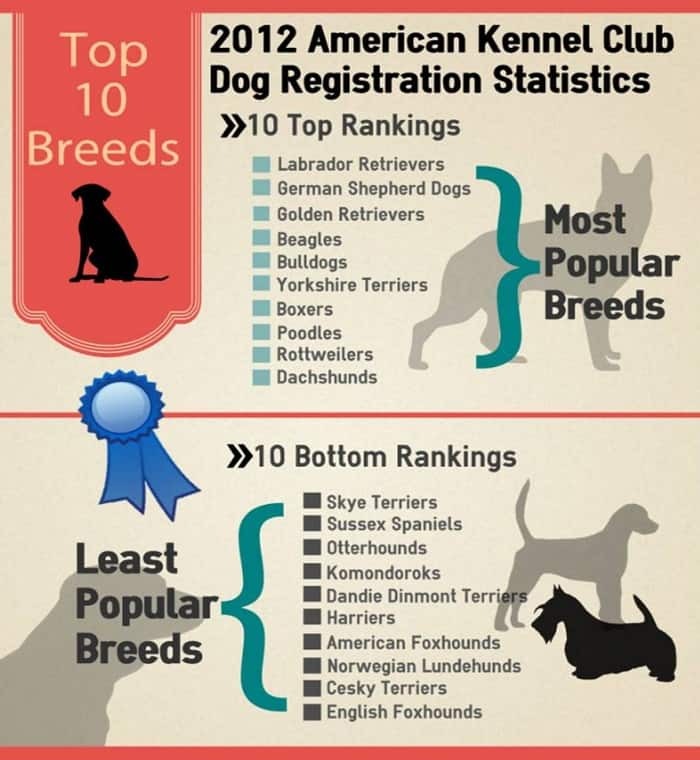 The list of the top three dogs in the USA has not altered for decades, with these three breeds remaining in the top spots, in unchanged positions. 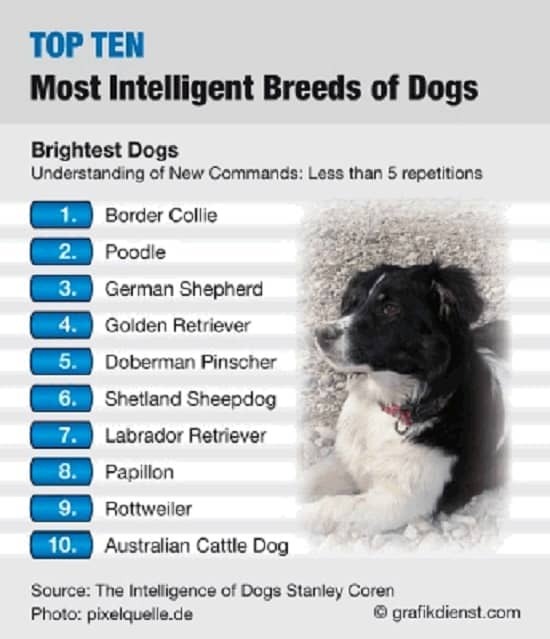 They Are Officially the 4th Smartest Dog Breed in the World! The next of our essential golden retriever facts lets us know that they are officially one of the smartest dogs in the world. Ranked fourth in terms of intelligence, they come in behind poodles, German shepherds and border collies in terms of how clever they are! Golden retrievers make wonderful watchdogs as they tend to bark very loudly when a stranger approaches. However, they don’t make the best security dogs – once the stranger or intruder approaches, they will tend to become friendly towards them and allow them to pet them, or even let them into the house if they are near to your property. In fact, this is the number one cause of death amongst these dogs. 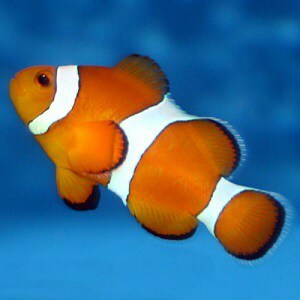 They are also susceptible to other canine illnesses, such as heart disease, lupus and epilepsy. In their later years, they may also start to suffer from canine cataracts and hip or elbow dysplasia as they age and start to become less mobile or physically infirm. The next of our golden retriever facts tells us about their color. If your retriever is from the UK, the shade of its coat will be different to that of its cousins in the USA. British retrievers tend to be cream colored, whilst USA retrievers are generally darker in color and are more likely to have shades of red or auburn in their coats. Of course, this breed of dog likes most types of physical activity, but generally prefers swimming to anything else – even walking. These dogs are naturally strong swimmers and love to play in water whenever they can. One of our interesting golden retriever facts involves politics. 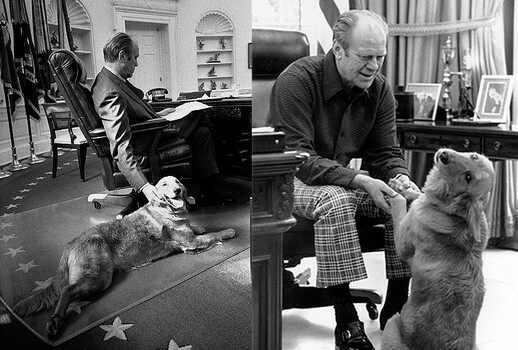 Former USA President Gerald Ford was well known for his love of the breed and always kept on of these dogs in the White House during his presidency. He gave his favorite dog a political name – Liberty. 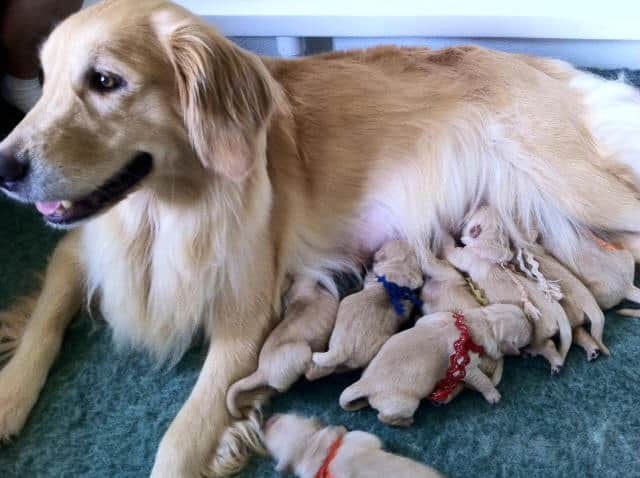 This dog actually gave birth to a litter of pups whilst Ford was president. The word crepuscular relates to how much activity they undertake and when they do so. Golden retrievers are most likely to be active early in the morning and in the evening, but want to sleep for a great part of the daytime. So, it’s best to let them walk early and/or later in the day and rest during the afternoon if you can. The USA was captivated by the story of Murphy the Golden Retriever who had been separated from his family and ended up surviving alone in the California forest for 20 months! 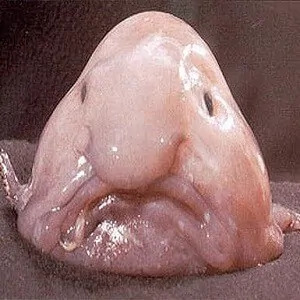 His owners were naturally devastated and had given up all hope of ever finding him until a holidaymaker at a campsite near to where he was last seen reported a sighting of him. The family went to the site, leaving his old blanket from home there. When they arrived at the site the next morning, they found Murphy sleeping peacefully on his blanket and they were happily reunited. The next of our golden retriever facts explains a little bit about their coats. They naturally have a very luxurious coat, but it needs a lot of care to keep it in tip-top condition. Typically, the dogs shed quite a lot and, when they do, they will need to be brushed liberally every single day. At times when the dog is not shedding it will still need to be brushed every other day. This is to keep the coat smooth, shiny and soft, and to stop debris and detritus from matting it. These dogs are natural hard workers and are very loyal. However, if they are not kept in check they are likely to simply keep working until they become very ill, or even drop dead. If you have a retriever dog, it is important to know that they need exercise, stimulation and to be kept busy, but that they must also have proper rests and time out in order to prevent them from becoming unwell. Facts about Golden Retrievers tell us that they were first bred in the mid-19th century in Scotland. This is a highly intelligent breed of dog, and one that is very trusting and friendly. 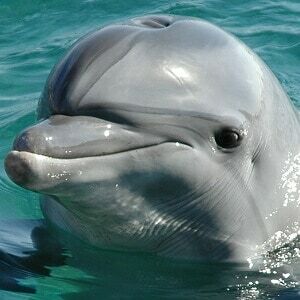 They are hardworking, obedient and easy to train, and have a strong love of swimming. They can be prone to canine cancers in old age, and their coats require a lot of maintenance to keep them looking shiny and neat.